Yael, tell us about yourself, where you’re from/grew up/live now, what you do for fun, if you work at “day job” what do you do that may impact your writing, favorite pet/color/movie /book/actress/actor—you know, all that stuff that makes you interesting. I grew up in Dearborn, Michigan, in a subdivision that had another name, but everyone called it the Ford Foundation, as it was built as part of Henry Ford’s plan for “taking care of his workers.” (Why on earth did they need a union when they had him?) It was a beautiful neighborhood of cul-de-sacs and parkways and had a large playground with counselors to supervise activities. I didn’t realize that the neighborhood was “restricted”—no Jews allowed—but couldn’t help but know that no Blacks could live anywhere in the city. Long-time mayor Orville L. Hubbard was re-elected time after time on a promise to keep it that way, serving a mere 36 years. Not many people admitted voting for him, but somehow he always won by a landslide. It was an idyllic 1950s childhood—father who went off with his briefcase every morning and was always home on time, stay-home mother, three children, and a dog. No one locked their doors, kids were out on their bikes and skateboards all day, there were no play dates, and parents didn’t think they needed to know where their children were until it started to get dark. But we grew up in a bubble of white middle-class America that needed to burst. I was always quiet and shy. My two older sisters joked they never knew I existed. I was always back in my bedroom reading. My best friend from childhood couldn’t have been more the opposite-a real social butterfly. When I was in high school my classmates were haunting the Grandee Ballroom in Detroit, where they heard all the new (then mostly unknown) Motown groups. Kathy would call me up and nag, doing her best to get me to go with her, there and other places, but I mostly chose to stay home. My one claim to fame was winning the Betty Crocker Future Homemaker Award (a college scholarship) and that is a true irony. I am twice-divorced and don’t cook or clean, so General Mills got that one wrong. When I was ten or eleven I began to develop an interest (or obsession if you asked my father) in Israel. I read every book about it in the Dearborn Public Library, and after my freshman year in college spent a summer as a volunteer on a kibbutz. That was that. I went back to the States and finished my college education, but then moved to Israel, converted to Judaism, and have been here ever since, with no regrets. I have lived in various places (kibbutz, Ophra, Jerusalem, Gush Katif, Jerusalem again, Ashdod, and now Pardes Hanna) and had a lot of different jobs (milking cows and taking care of chickens in the kibbutz, Management Systems Analyst, English teacher, Hebrew-English translator, and technical/marketing/ proposal writer). I am now retired from Israel Aerospace Industries and thoroughly enjoying it. I spend most of my time reading and writing, do some gardening, and enjoy walking the beach and Israeli folk dancing. 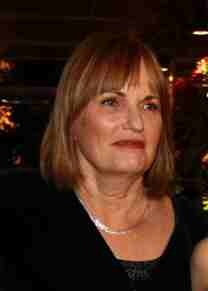 I most love spending time with my grandchildren, but don’t get to do enough of it. I began writing thirty years ago on an old Smith-Corolla typewriter my grandfather gave me. I can’t give you a reason. I had always been an avid reader, but as a child never thought “I want to grow up to be a writer.” One day when I was in my twenties I just sat down and started writing a story, and I’ve never stopped. There have been long periods when I didn’t write at all, but I was always thinking about those pages in my desk drawer. So far I have written three novels (one in the works), all historical, but I do not think of myself as belonging to that genre. I think the next one will probably take place in Israel today. And I would like to try a mystery some time. First I think and then think a lot more. I don’t outline, but don’t put a word on paper until I think I know what is going to happen. Then as I write I fill in a table which I use to keep track of time and other details. After I finish a scene, I jot down what date, day of the week, and time of day it began and ended, what the weather was like, and any specific details noted in that chapter. It took me a long time to discover what a help this crutch could be. Before that I just wrote away. This happened, then a while later that happened, then a few months later this other thing happened, until I finally had no concept at all of how much time had passed. I also found that grounding the scene in time—even which day of the week—made it more real in my mind. A table like this also prevents a writer from having a character wave and say, “Hi, Bob.” to the mailman in chapter one and then, “Hi, Bill.” to this same mailman in chapter thirty-five. You are SO right about that. I have whole documents of characters and their traits for my series. What other writer inspires you? Your work? I love a lot of books, but couldn’t name a single writer. I’m that way about music. I can tell you what I like but cannot tell you who sings it. What is your favorite work by you? And why is it your fav? That’s like asking me which child is my favorite. Tonia, the protagonist of “The Lonely Tree”, and Olivia, the protagonist of “Olivia, Mourning” are extremely different personalities, but still have a lot in common. Both are young, strong-willed young women, determined to take their fate into their own hands. I would guess that will always be my starting point. Young means potential—let’s see what she does with it. I start with a very vague idea and then let plot and character influence one another. 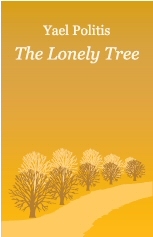 Best experience—Getting an email from Holland Park Press that they had seen “The Lonely Tree” on YouWriteOn.com (site for beginning writers funded by the London Arts Council) and wanted to publish it. Third-best experience—Reading Gillian Polack’s review of “The Lonely Tree”. It wasn’t the best review the book received, but this reviewer really “got it,”—knew what I had felt when writing the book. Worst experience—I can’t recall any one particularly bad experience, so I suppose I’d have to go with getting that first rejection letter. Best advice—I think most beginning writers think, like I did, “I KNOW how to write. I always got an A+ on my English papers. That’s not the problem.” What we worry about is whether we have enough inspiration or imagination or creativity or whatever we call it to write stories and characters that will be interesting. What we don’t realize is how important it is to master the specific craft of writing fiction—how to use dialog tags and beats, to remain in POV (point of view), to structure your plot, etc. The good news is that two or three good self-editing books are all you need, as long as you continue to pay attention. Don’t make the huge mistake of thinking that “mechanics” don’t matter. Don’t say to yourself, “That’s what editors are for, to fix the places where I’ve been sloppy.” Your brilliant character will NOT shine through awkward sentences, repeated words, and unnatural dialog. And those legendary editors we think will clean everything up for us no longer exist, if they ever did. Worst advice—Write what you know. I think “Write what you would like to learn” is much more fun. If you live outside the UK, the charge will be made in your own currency. Readers who would like to purchase “The Lonely Tree” can contact me (yaelpoli@yahoo.com) and I will send them a promotional code that will give them a 20% discount. Anyone willing to take the time to read this excerpt and write a review would be most appreciated. You can find more details about this on my website. “Olivia, Mourning” has not yet been published. I plan to self-publish it once the Amazon Breakthrough Novel Award contest is over. I love my characters and hope they do. I think I already told them way more than they wanted to know. (Laughing here) Well, we’ve certainly enjoyed having you join us today and getting to know you. Lots of luck with the new release!